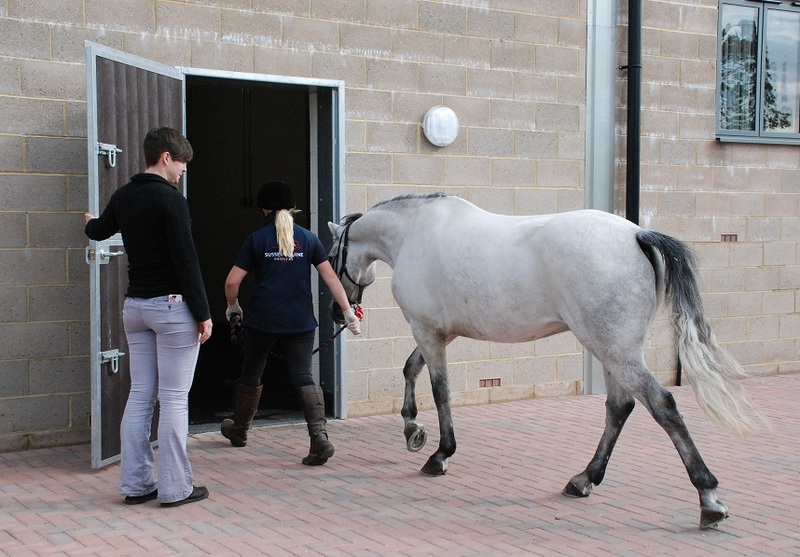 It is often preferable to perform lameness evaluations at the hospital. There are dedicated hard and soft surface trot up strips and an indoor hard trot up strip for the winter months. Horses can be ridden or lunged in the 20m by 40m sand school and there is a fenced concrete lunge pad to allow safe lunging of patients on a hard surface. It is also possible to make use of these facilities for poor performance evaluations and pre-purchase examinations. Following initial assessment, diagnostic procedures such as nerve and joint blocks can be performed in one of the 3 examination rooms. Whilst at the hospital, the diagnostic services of radiography, ultrasonography, scintigraphy and MRI are available if required. Patients can stay in the hospital for more lengthy assessments to be made. Often owners will drop a patient off first thing in the morning and collect at the end of the day, however, owners are more than welcome to stay and be involved in the work up. The aim is for our clinicians to provide a personal and informative service. 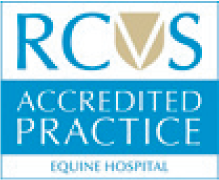 We work closely with farriers to help achieve the best results for your horse.